Exactly a week after it was introduced, a proposal to hike the minimum wage has gone from $8.15 an hour to $9.20 in a version that passed the full Senate today. SB 0934 as amended would repeal the existing minimum wage law and increase the minimum wage incrementally to $9.20 by 2017. The first increase would be Sept. 1, 2014, when it would kick up from $7.40 to $8.15. Under the proposal, tipped employees would top get up to $3.50 in 2017. The current tipped wage is $2.65, and the most immediate increase would be to $3.10 on Sept. 1, 2014. The minimum wage would also be indexed — beginning in 2017, the Department of Licensing and Regulatory Affairs (LARA) would calculate an adjusted minimum wage rate every October. Sen. Arlan MEEKHOF (R-West Olive) won an amendment to cap the indexing at inflation or 4 percent, whichever were less. A provision was added stating that if the unemployment rate was greater than 10 percent, a scheduled minimum wage increase or indexing would not take place. It leaves intact the mechanism of repealing the old law, which would render the ballot proposal moot by doing away with the law the proposal seeks to amend (See “Proposed Minimum Wage Law Would Scrap Ballot Proposal,” 5/8/14). 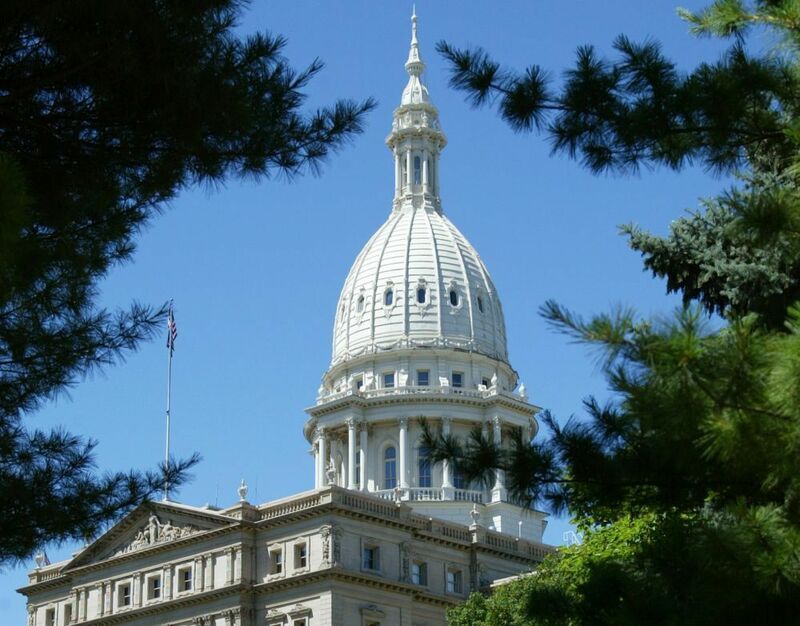 Senate Minority Leader Gretchen WHITMER (D-East Lansing) won an amendment adding back in language in the originally introduced bill with regard to sub-minimum wage. The final vote was 24-14. Democrats decried the original $8.15 proposal at a press conference earlier this week, including Sen. Bert JOHNSON (D-Highland Park) who labeled it “trickery” (See “Minimum Wage Battle Running Fast, In Multiple Directions,” 5/13/14).